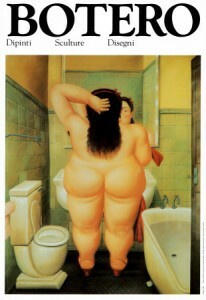 Colombian artist Fernando Botero’s unique style is recognized and renowned world-wide for the voluminous forms and sensuous figures found within his painting, sculpture and works on paper. Botero’s observations and portrayals often take on religion, politics, and history as subject with an equally critical and comical approach. The Baroque World of Fernando Botero includes over 100 paintings, sculptures and drawings dating from the 1950’s to present. Compiled from Botero’s personal collection, this is an opportunity to view many never exhibited works that the artist reacquired or never parted with. Themes such as faith and contemporary life in Latin America, early works and sculpture, and still-life portraits, and subjects that reference European art history, are presented in eight separate sections. Using a broad range of media, the Colombian-born Botero has created a world of his own, one that is at once accessible and enigmatic. This exhibition features a selection of paintings from leading Latin American beverage company FEMSA’s prestigious collection of more than 1,000 modern and contemporary works of Mexican and Latin American artists. 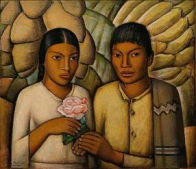 This thematic exhibition explores the 20th century art movements and styles of Cubism, Portraiture and Landscapes, Identity, Mexican Muralism, Surrealism and Abstraction, and includes works by many noted artists, including Leonora Carrington, Frida Kahlo, Wilfredo Lam, Roberto Matta, Jose Clemente Orozco, Diego Rivera, David Alfaro Siqueiros, Jesús Soto, and Rufino Tamayo. The exhibition is organized by FEMSA and has been traveling throughout South America. This is collaboration between the Bowers Museum, FEMSA, and the Mexican Consulate. « How can we revive Santa Ana’s downtown?